Finished in Essex Rotary Signature Green, a true direct fit with no modification required. 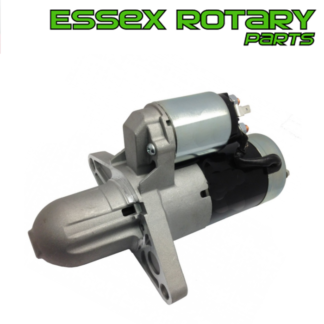 Purchase this product now and earn 25 ER Points! 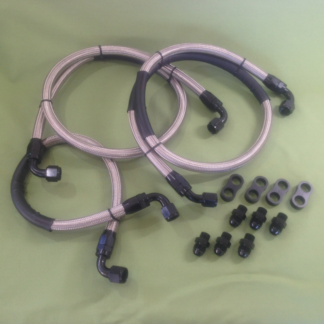 These Braided Clutch Hoses are build to our design here in the UK and are a direct fit without any requirement for modification, unlike many other hoses on the market. 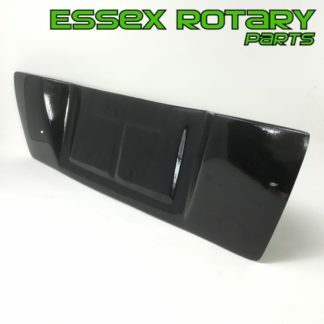 designed to fit the all years of Mazda RX-7 FD3s. 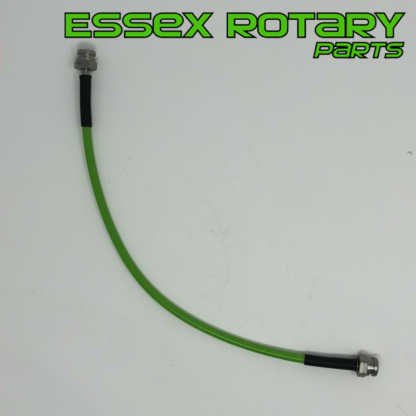 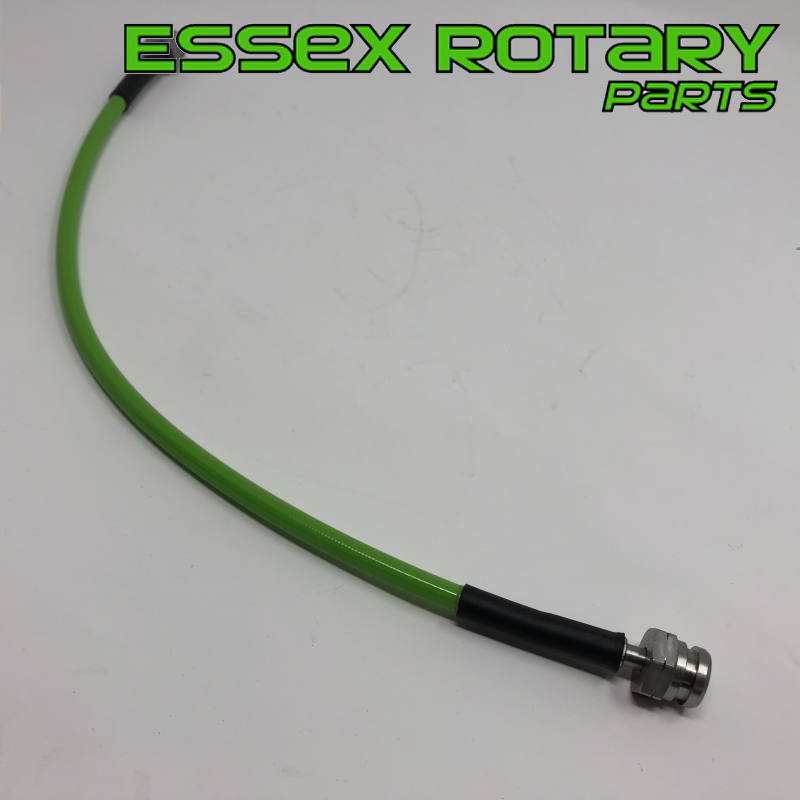 These braided hoses have a stainless steel over braid that is then covered in our Signature Essex Green cover to reduce chaffing on the surrounding hoses, wires and coolant lines. 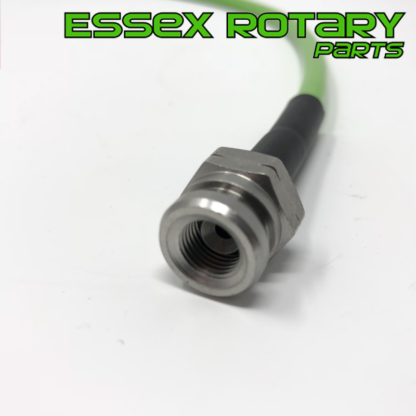 Priced at an affordable price, when it comes to replacing your clutch hydraulics why not add one of our hoses to the setup for ultimate piece of mind.